Note: I am not sponsored by anyone, but I want people to know where they can find this kit. When I realized I wanted to take my calculator collection more seriously, I ordered the KKMoon DIY Calculator Counter Kit from Amazon. It was only $15 and seemed like a fun project. 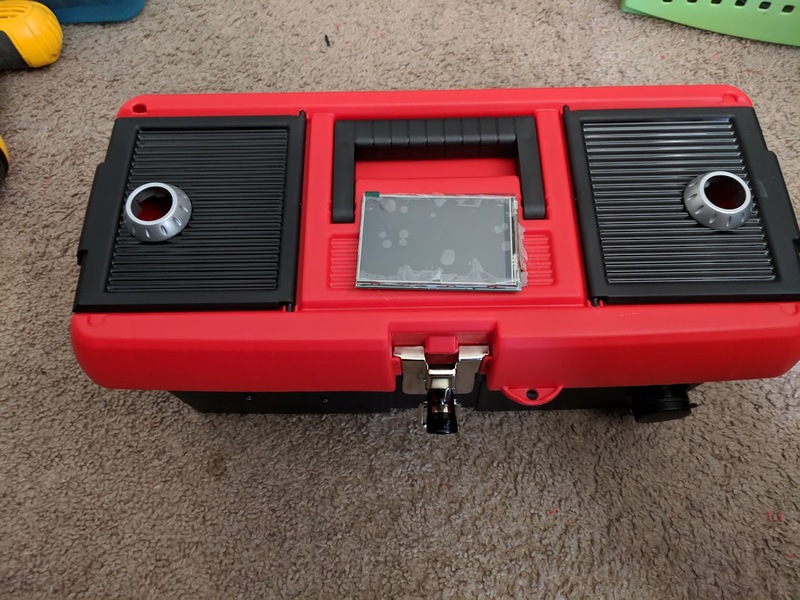 The parts ended up sitting in a box in my closet for several months but this past weekend I decided to sit down and finally put the thing together. KKMoon DIY Calculator. Fully assembled. The KKMoon DIY Calculator Counter Kit turned out to be a lot of fun to put together and had some very cool surprises within. The manual includes a link to a page with instructions on how to build it: http://www.diyleyuan.com/jc/L8Q.html. The images on the page are very clear and easy to follow. Each component feels well-made so the only way you're going to mess things up is if you do something really stupid. Unfortunately, the acrylic case proved to be an agonizing endeavor. Peeling off the protective covers on each piece was easily the worst part of this entire experience. The second worst part was assembling the keys, which use tiny pieces of paper you have to cut out. The buttons look terrible. It took me two hours to build, and the end result is pretty cool. You can see inside the device and with the exception of the buttons, the calculator looks great. The display is bright and back lit, unlike any other device in my collection. While the buttons look ugly, they feel fantastic. They're loud and clicky and extremely responsive. In addition (haha) to the basic mathematical functionality, this device is also capable of determining the resistance of resistors by inputting the color rings. I haven't had much luck with this and I don't know why. Maybe the resistors I was looking at used a different system? You can also use this calculator to determine the needed resistance to use an LED by inputting the source voltage and the working voltage of the LED. But my personal favorite feature is the hex calculator. This mode lets you input a value and it will return it in hexadecimal. This is extremely useful for me as a computer science student and a very pleasant surprise. One of the two CR2032 batteries. Impossible to access without disassembling entire device :(. Except for the hex calculator, the only thing that makes this device stand out is the fact that I built it myself. I don't really like the way it looks, and the two CR2032 batteries can only be accessed by disassembling the entire device, which is not a trivial task. I fully intend to modify this calculator in the future, so there will be more content about it. Here's the complete build video. It's two hours long and probably very boring. Basic calculation. Display has a minor defect that affects the second from last digit. This device is incapable of calculating very large numbers. The Star Wars Episode IX trailer has been revealed to the world, and I've been waiting for this day specifically for this calculator review. This isn't my first Star Wars calculator review, but it's definitely the one I've been excited about the most. The first Star Wars film I ever saw was Episode VI: Return of the Jedi. Even without the context of the first two films, I found myself captivated by the idea of a civilization far away that viewed space travel as completely mundane in the way that we see cars and airplanes. I was also young so I thought the Ewoks were great and C-3PO was an acceptable form of comic relief. I still love these things. Yes, of course it's a calculator. So here is my Tiger A-Wing, which is also a calculator. Honestly, I don't know why it's a calculator. The calculator part is completely unremarkable but it's the sole reason I'm even discussing this toy here on my website. I don't even really want to talk about the calculator because I've got nothing interesting to say about it. It works, sort of. There's a problem with the display. I don't care. Tiger is mostly known for its line of simple electronic games, so it's odd that they would bother turning a ship into a calculator. They also made a Millennium Falcon-shaped electronic game that I've never touched. Maybe they didn't think the A-Wing was cool enough to get its own game. Like most Star Wars toys, it's not expertly detailed or anything. It looks fine, which is good enough for me. It can make a few sounds too and they of course don't sound great. The guns on the side rotate. I might sound like I don't particularly care for this calculator, but I really do. I'm just trying not to let my love for Star Wars affect the review too much. I like this calculator a lot, but mostly because I just like spaceships. This device was released way back in 1997, but I found it on Ebay for about $7. Interestingly, this device is nearly the same scale as the Micro Machines Millennium Falcon. Bottom with battery cover removed. Searching thrift shops and other stores for calculators is one of the most rewarding aspects of calculator collecting. When I first started getting serious about collecting, I bought just about anything I found to make the collection grow as quickly as possible. I ended up with a lot of very boring devices because of this. But in my searches, my heart sometimes skips a beat when I discover something truly unique. The Sharp Elsi Mate EL-120 was one such find. I had never seen anything like it before. It features a horizontal design, three digit display, and a button that says "count." I cannot explain the design choices. Before I get into its interesting functionality, I want to address the overall aesthetic. This calculator looks awesome.The red and black color choice makes it look more like an old portable computer than a simple calculator. It uses the gorgeous green LED display that I love so much in early electronic calculators. It's a very sturdy device that simply looks fantastic despite adhering to zero typical design choices. The unique look it has raises several questions for me, most importantly: what is this for? Only being able to display three digits at a time makes this less useful for routine calculations than a standard eight digit device. The count button adds one to whatever number is displayed, so this would be useful for counting things one at a time I guess. But the position of that button isn't ideal for how you would normally hold this calculator. To view the display while using the count button, you have to hold it in a very awkward position. It's not extremely uncomfortable, but if you're counting for a long period of time I imagine you'd get some serious wrist cramps. The EL-120 comes from Japan in the year 1973. I found it at a thrift shop for $5. It's not a device I have any real need for, but if you have any idea who would benefit from this design, please let me know. Back of calculator, batteries removed. Back cover removed, exposing internal components. LED display and components exposed. I didn't want to remove this and risk letting the buttons fall out. Hello again! I apologize for the lack of reviews, but I've dug myself into many other projects unrelated to calculators. The April 1st post had been set up a while back, and was posted automatically, so if you're confused as to why that's the only thing I've posted lately, there's why. But we're not here to talk about me, are we? We're here to discover how good a calculator is. The Sentry CA279 Dual-Power calculator comes to us from the year 2011 by a company that makes audio technology now, Sentry Industries. There are no mentions of calculators to be found on their website, but based on the logo, it appears to be the same company. I don't know why they would try to distance themselves from this device because it's actually decent- for a cheap calculator. The CA279 has extremely basic functionality and doesn't feature anything unique as far as calculators go. It adds, subtracts, multiplies, and divides integers and floats just fine, and it helps that the rubber buttons feel nice and the display is so large. It's dual-powered as well, and the one I purchased came with a corroded battery and still works. I like the way it looks, and it feels pretty good in the palm of my hand. Inside the device is unfortunate, however. This calculator is made from very cheap components, similar to the Big Display that I hate so much. The difference here is that the internal components are held together nicely and the exterior plastic probably won't crack after being gently tossed into a hard surface. Is it a device I would recommend? Not really. Is it a device I'd warn my readers to not buy? Not that either. It's cheap but not disposable. I just don't have any strong feelings one way or another about the CA279. It won't be going into my Box of Lame™, and I've got plenty of room on my Wall of Fame, so it will go up there among other great devices until I find a reason to remove it. Back of calculator. Nothing interesting here. Back removed, exposing cheap internal components. Supports made from cardboard are not great. Paper-thin contacts aren't great, either. I'd like to begin by stating again that I am open to suggestions for calculators to review. For today's review, a friend recommended I review this device. It seemed like an unusual request, but I figured I'd give it a try. Subway 12" Ultimate Meatball Marinara Calculator. I purchased the Subway 12" Ultimate Meatball Marinara Calculator at my local Subway for a little over $8, having never realized they sold calculators. It comes wrapped in several papers and even has a bag designed specifically for the shape of the device. I was surprised at how squishy it felt, but I took it home eager to try it out. Upon getting home to record the video review and my initial reactions, I was bewildered by what I found inside. This calculator appeared to be broken as fluids were dripping from the device and soaking into the wrapping paper. I watched some videos to see how this was operated and surprised to discover that operations are performed by ingesting the calculator. The videos didn't explain how this worked, so I looked for a manual. The closest thing I could find in the packaging were a bunch of napkins with the Subway logo on them. None of this was particularly helpful. Not sure if this is supposed to be the manual, but it came with the device. Aesthetically, it's too bizarre to call ugly. The exterior is all brown but the interior is where all of the interesting colors are. I couldn't figure out a clean way to operate the calculator with it open, but inside was a pleasant shade of red and white that gave a nice contrast to the outside. My best guess for how to operate it was to think of two numbers and an operator and ingest a portion of the calculator. This proved to be one of the most unique and pleasant ways to get answers to math problems. Unfortunately, I found the device to be wildly inaccurate. The first operation I attempted to perform was 2018 times 12 (the year the device was released multiplied by the advertised length). The answer I got was 36, which I'm fairly certain is not correct. Simpler mathematical operations proved to be more reliable, however. 2+2, 18-9, and other basic problems were easily solved with each bite. But this lead to another realization: the calculator has a limited number of uses. After several calculations, I found that most of the calculator had been ingested and could not be used again. This was especially upsetting, knowing that I wouldn't be able to keep this in my collection for long. If you're looking for a device that needs to solve more advanced math problems, the Subway 12" Ultimate Meatball Marinara Calculator probably isn't the best device. It was very expensive for such a basic device, but I enjoyed using it while it lasted. This is easily one of the most unique calculators I've experienced. It's just a shame that I'm left with nothing to add to my calculator collection. After several calculations, this is all that remained of what I purchased. This was completely unplanned, but I'm taking some time off from writing calculator reviews again. Last week I didn't manage to finish up the reviews I was working on so only one thing was posted. This has been due to a project that was just started that I want to finish before the end of the month. I am upgrading a musical instrument that I built last year for school. It has turned out to be a lot more work than I expected, but it's coming along nicely. It involves a lot of soldering and wiring, both of which I'm not particularly experienced. 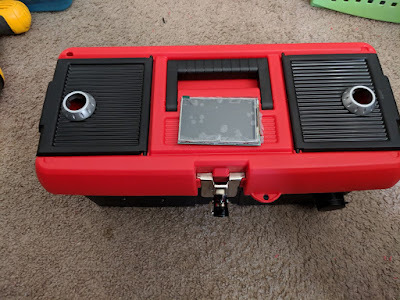 I'm trying to fit everything into a toolbox for portability while also trying to make it sturdy and reliable. It's a very fun project, and I've had a great time working on it. This is the Gametrak, a video game controller from Madcatz for the Playstation 2, Xbox, and PC. You wear gloves that attach to the wires and it's able to track your hands in 3D space. Only two games were released for it, and the Wii came out shortly afterward so it became obsolete pretty quickly. Some clever musicians realized it could be used to make an instrument. The video below is just one example. I did the same thing for a class project, but I had a lot of issues with it. 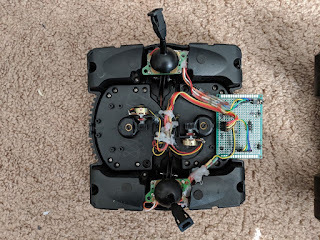 The one I bought only works on the Playstation 2, so I had to tear it apart and build my own circuit board to connect it to a Raspberry Pi. Original instrument was a mess. It looked like crap, but I had very little time to work on it. I really wanted to make something better, but the class had ended and I moved on to other things. Much cleaner Arduino hat in place of the mess of wires. Still need to do all of the wiring. Top. The tiny display isn't mounted yet. As you can see, there's still a LOT of work to be done. I don't want to neglect my calculators, but I'm very excited about getting this thing completed. 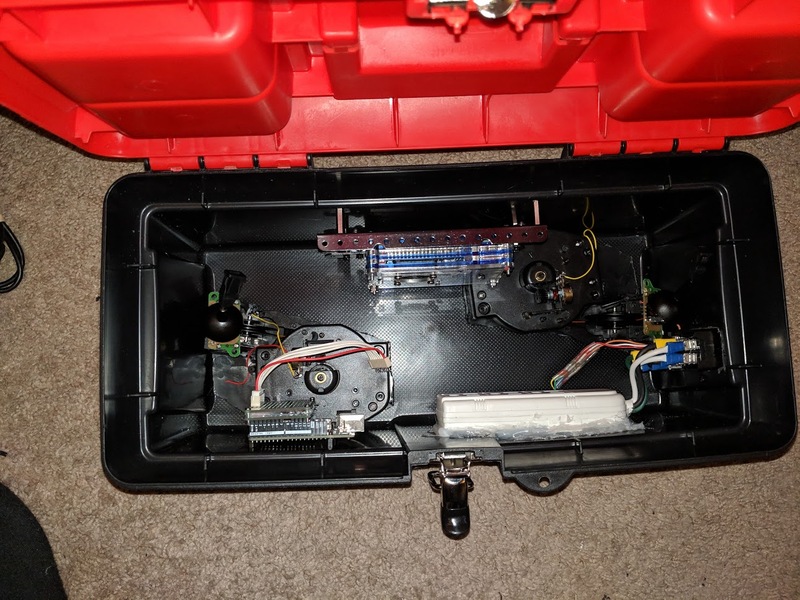 I'm trying to spend as little money as possible on it, so it's constructed mostly of things I had stored in boxes and parts from broken electronics I was going to recycle. Anyway, I wanted to let my readers know that I'm still alive and that there will be more calculator reviews in the near future. In addition (haha) to my reviews, I've been wanting to discuss other aspects of calculator collecting. This is the first in what I hope to be many posts about this amazing hobby that has brought myself and others so much joy. In several of my videos and reviews, I've mentioned what happens to the calculators I've covered. I have five different locations to store them. There's the Wall of Fame, where I put the best handheld devices and see them first thing every morning. I have a display case for my most interesting items (not just calculators) and that's where a lot of the truly fascinating devices go. There's also a shelf where I store larger calculators that don't fit on the Wall of Fame but aren't cool enough for the display case. I've also mentioned the "Box of Lame," which is a cube storage thing where all of the terrible calculators go. I like to keep these out of sight for the most part. But the fifth storage location is today's topic, and that is the Calculator Graveyard. It's more of a bag than a location, actually. The Calculator Graveyard, posing for a fancy photo. When purchasing calculators at thrift stores or even Ebay, I occasionally get something that doesn't work. Sometimes they don't survive shipping, other times they have horrific battery corrosion, and many were simply donated to Goodwill in a non-working state. I attempt to fix all of these, but I'm not an expert and I don't really know what I'm doing. Then there are times when I get a perfectly functioning calculator and take it apart before writing a review. Sometimes I make a mistake and cause irreparable damage. It's devastating. In any of these situations, I don't just throw the devices away. Instead, they're added to the Calculator Graveyard in the hopes that maybe some day they can be resurrected or stripped of parts for the benefit of another calculator. Ultimately, many of these will probably be taken to an electronics recycling center, but the bag isn't quite full yet so I'm in no rush to part with them. The TI-1000 was purchased in the early days of my calculator collecting, before I even dreamed of the idea of writing reviews. I found it at Goodwill for $4 but saw that it wasn't working quite right. Still, I took this piece of history home with me hoping to fix it. Sadly, the internal components were so worn and damaged that I ended up discarding them. I kept the shell because it still looked cool and maybe I could use it for a project of some sort. Fortunately, I found another on Ebay for a reasonable price and it's one of my website's earlier reviews. Check it out here. In the case of the Unisonic LC588, I didn't give it a thorough testing before purchasing it at Goodwill for a few bucks. I turned it on and saw a zero, and that was good enough for me. It wasn't until I got home that I discovered the display had some serious problems showing digits. This calculator was working fine when I got it, but when I disassembled it for the review, the ribbon connecting to the display broke and I was unable to repair it. I did end up finding a similar device and wrote a review for it. Check it out here. Another calculator that was in perfect shape when I got it. Like the curved calculator, I disassembled it and broke the extremely thin ribbon connecting to the display. 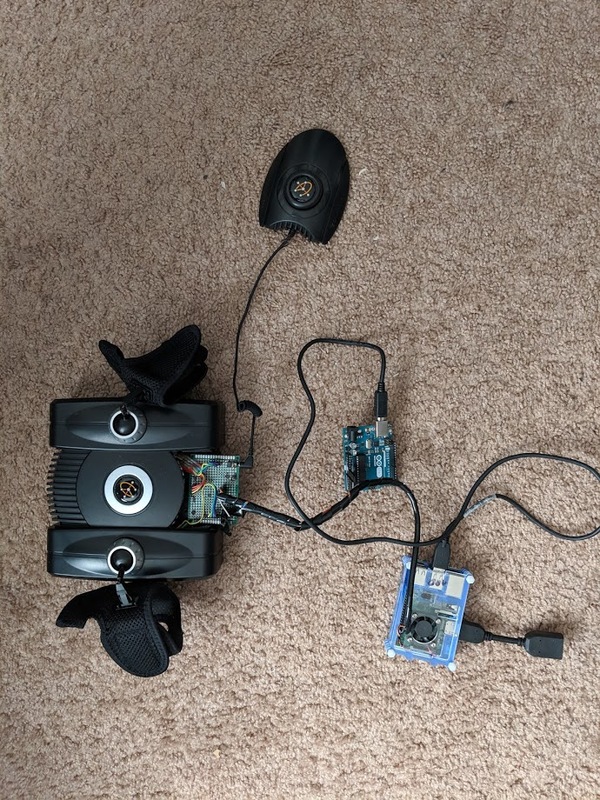 I was very upset with this because it seemed like a really cool device and I was excited about sharing it on my website. I hope I can find another some day. I love Casio calculators, so finding this one for 95 cents at a book store was big for me. Unfortunately, the display doesn't show numbers so it's impossible to use. The good news is that this device is similar to the Casio FX-300ES Plus, which I previously reviewed. I have not reviewed or discussed graphing calculators on my site yet for a number of reasons, but I found this TI-83 Plus at Goodwill for a few bucks in very bad shape. I recorded a video of me attempting to clean and repair it, but I couldn't get it to work. I might post that video in the future since it does show a few techniques I use to clean electronics. I ordered this from Canada on Ebay and it arrived broken. I won't even attempt to fix this device because I cannot fix broken glass. The number 7 works on it though. The very first calculator review I ever wrote was for the Aurora DC-10. It's not the first review I wrote for this site, but it was on Facebook first. When I found the D5 on Ebay for a few dollars, I didn't hesitate to order it. Sadly, it's very old and the keys only barely work. Of all the devices in the graveyard, I do think this one has the best chance of being fully repaired and restored. Here it is, the truly devastating loss in my collection. This calculator comes from the Ukraine, but was sold in the Soviet Union back in the late 70s or early 80s. I did manage to get it working for a moment, so that was quite glorious. I can't be too upset because clearly this calculator has been through a lot. I do hope that some day it can be revived because it's a beautiful device that deserves another chance.